Preliminary Investigations with Hair explores how hair operates at the fringe of cultural imperatives. It documents collaborative performances with several other artists, which explore hair as not only object of abjection, but also a medium for connection and queer intimacy. This video is made from the footage we took with handheld cameras and smart phones as we performed, capturing the collaborative and embedded nature of our perspectives. 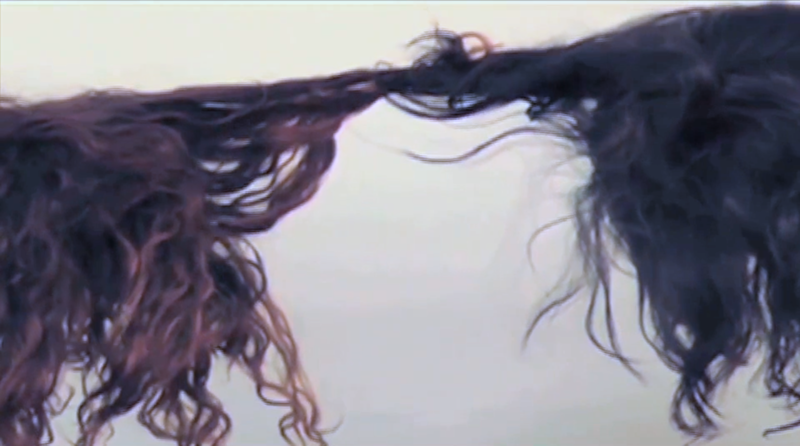 Preliminary Investigations with Hair was screened as part of the 2012 conference “Cripples, Idiots, Lepers, and Freaks: Extraordinary Bodies/Extraordinary Minds” at the CUNY Graduate Center.